October 28 | Sweet potato pie is way better than pumpkin pie. October 29 | One of those blurry afternoons that calls for more caffeine. 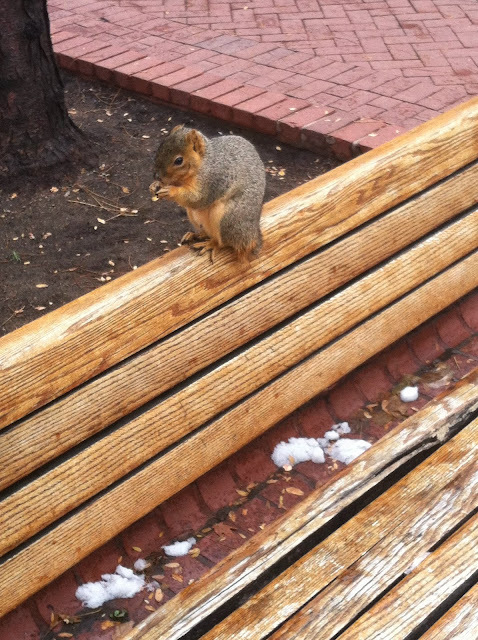 October 30 | This squirrel lives outside of my office and he has no tail! October 31 | Happy Halloween! November 3 | ...but woke up to this. Dingo really appreciated us taking her to a giant sandbox.